These tools are designed to affix fittings to many different types of hose . 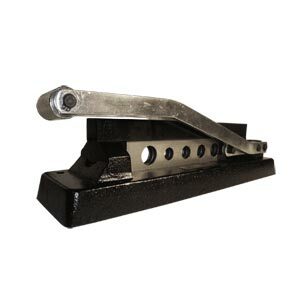 This handy tool is used in conjunction with Center Punch galvanized and stainless steel bands up to 5/8" in width. Lightweight and ergonomic this tool can band fittings to a comprehensive array of different hoses. 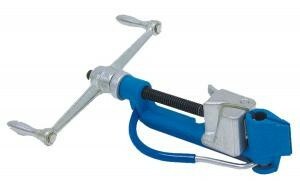 This tool creates a ribbed crimp and is designed to press a ferrule to general purpose air and water hose. The tool is portable or it can be mounted on a bench.